Creating opportunities of contacts between cultures and civilization and developing the growth of local cultures and talents with the aim of promoting better understanding amongst cultures. We are committed to provide excellent services and pleasant ambience to satisfy and delight all our customers. Together, we work in trust, harmony, and integrity so that all of us can be proud of being a member of Kinokuniya. The Company is like a stage. Books and information products are like actors and actresses. Staff are like producers and directors, and customers are like the audience. 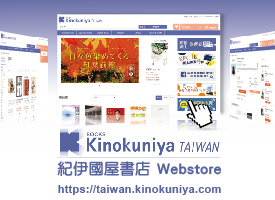 Once the customers come into contact with Kinokuniya, their theatrical experience begins. To receive a standing ovation from the customers, the Company must provide a well-designed stage. The staff must provide clear directions to the actors and actresses and they must ensure all props are in place. Actors and actresses are well cared for that they can perform their very best before the audience. 紀伊國屋書店股份有限公司 版權所有 Copyright © 2011 KINOKUNIYA BOOKSTORES OF TAIWAN CO., LTD. All rights Reserved.